Lucian Truscott was born in 1895. He joined the US Army and served under on the outbreak of the Second World War he was serving under General Dwight D. Eisenhower at Fort Lewis in Washington. Truscott was sent to Britain where he worked with the Combined Operations Staff. 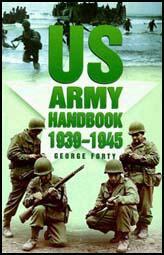 In August 1942 he was the principal US observer during the Dieppe Raid. Promoted to the rank of major general, Truscott led the Northern Attack Group in the assault of Morocco in November 1942. Truscott also took part in the invasion of Tunisia where he was Eisenhower's field deputy. During the Italian campaign Truscott led the 3rd Division at Salerno, Cassino and Anzio. Truscott replaced General John Lucas as head of the 6th Corps and led the troops that entered Rome on 4th June 1944. Considered to be an expert on amphibious warfare, Truscott directed planning and training for the invasion of France by the 7th Army. Landing on 15th August 1944 he moved north and after crossing the Moselle River he headed for the Rhine River. Truscott replaced General Mark Clark at commander of the 5th Army on 16th December 1944. He succeeded George Patton as 3rd Army commander and military governor of Bavaria in September 1945. After retiring from the US Army Truscott wrote the acclaimed war memoirs, Command Missions (1954).Lucian Truscott died in 1965.